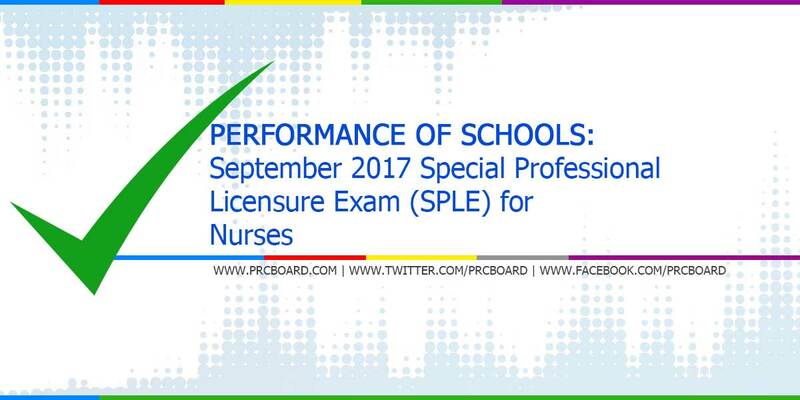 PRC announced the official results as well as the top performing schools and performance of colleges and universities in the September 2017 Special Professional Licensure Exam (SPLE) for Nurses few working weeks after the last day of board examination. Overview of the overall college or university standing is significant especially to the incoming and current students as well as college and university administrators. Below is the complete list of schools' performance for SPLE - Nurse as well as the top performing schools with 50 or more examinees passed and with at least 80% overall passing percentage, courtesy of PRC. What time they will release the result?